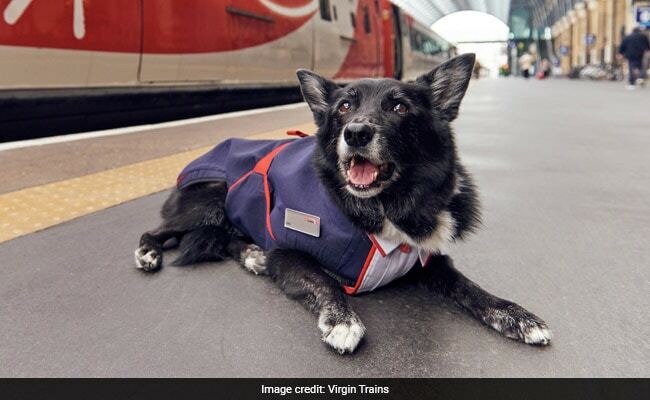 Jake The Trainspotting Dog Gets His Own Virgin Trains Uniform. Picture Paw-fect! Train-Loving Dog Gets His Own Uniform. Picture Paw-fect! 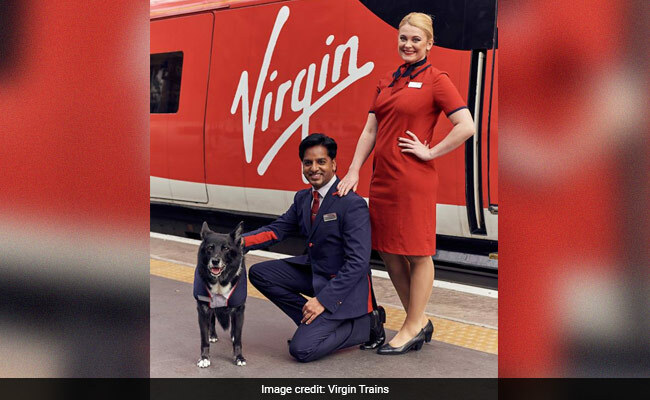 "As a reward for his devoted service, aside from his favourite doggy snacks, the design team set out to make Jake his own bespoke dog-friendly uniform"
UK's Virgin Trains launched its new uniforms for staff members on Thursday. But a made-to-order uniform was presented to a very special member - Jake the trainspotting dog. 14-year-old Jake, a Collie-German Shepherd mix, has been a regular at Stafford Station for the last nine years. The very good doggo likes to sit and watch trains go by. Sometimes he likes to bark at them and wag his tail. "Jake's always had a love and fascination for Virgin's trains, he doesn't bark for any other! His daily trip to the station is a real highlight for him," confessed his human. So, when the train company developed their new uniforms, they couldn't leave behind their most loyal fan. "As a reward for his devoted service, aside from his favourite doggy snacks, the design team set out to make Jake his own bespoke dog-friendly uniform, carefully measuring him from furry head to trainspotting tail to create a fetching look that would suit his unique personality and shape," the company said on their website. Dressed in a custom-made blue, red and white vest, Jake proudly showed off his brand new clothes while posing with the staff of Virgin Trains. It even came with a name badge!